One of the many baffling aspects of the MH370 disappearance is the absence of radar data after the plane left Malaysian primary coverage at 18:22 UTC. If, as is generally presumed, the plane took a sharp left turn shortly afterward and flew into the southern ocean, it should have remained visible to Indonesian radar for more than an hour. Yet Indonesian military officials insist that nothing appeared on their radar screens. This is an issue that has gotten less attention than it deserves, and for understandable reasons. Indonesia is a developing country, and a sprawling one at that. With a land area the size of Western Europe, it spans the same east-to-west distance as the continental United States. So one might reasonably assume that the country lacks the ability to comprehensively monitor its airspace. Why shouldn’t MH370 have passed through without a trace? 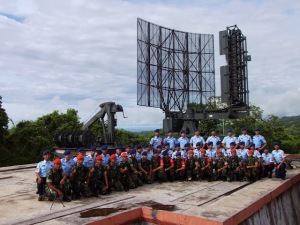 In fact, though, Indonesia has quite a capable air defense radar system, and one which it utilizes quite aggressively. In the last month alone, its air force has intercepted three civilian planes which wandered into the national airspace without first getting the proper permission. The westernmost part of the country is covered by the Indonesian Air Force’s Radar Unit 231 at Lhokseumawe in Aceh, Northern Sumatera. The unit is equipped with a Thomson-CSF TRS-2215 radar, the type pictured above. The system, Indonesian military officials say, is capable of detecting aircraft up to 240 nautical miles away. It demonstrated its capability last year, when the unit detected a Dornier 328 twin turboprop entering Indonesian airspace from the west. The plane was ordered to land at Sultan Iskandar Muda airport in Banda Aceh. It turned out to be a US Air Force Special Operations plane carrying five crewmembers; the pilot claimed he had been running low on fuel and didn’t realize that his paperwork to enter the country had expired. After being impounded for a few days the plane and its crew were allowed to leave. So how could the Indonesians have seen nothing? For insight, I turned to someone with long experience with military radar systems. Steve Pearson is a former RAF navigator who later worked as an avionics and mission systems engineer for the Royal Air Force Warfare Center. Today he works as an engineer for the defence consulting firm Qinetiq. First, I asked Pearson if a 777 would make a big, clearly visible radar target. Especially in the middle of the night. It’s likely significant that, of all the interceptions that I mentioned at the top of this piece, all took place in the middle of the day. It’s not hard to imagine a sleepy radar operator, in the middle of the night, expecting nothing to happen, overlooking the passage of a blip. Was Indonesia’s failure to detect MH370 related to its peculiar flight path? After its initial diversion, MH370 passed mostly along the boundaries between Flight Information Regions, or FIRs. These are aerial territories under the jurisdiction of different air traffic controllers. When the plane disappeared from secondary radar near IGARI, it was on the boundary between Singapore and Ho Chi Minh FIRs. It did a 180, then flew along the border between the Kuala Lumpur and Bangkok FIR. After crossing the Malayan peninsula, it stayed close to the boundary between Kuala Lumpur and Jakarta FIRs. If MH370 was being steered in such a way as to escape detection, the plan worked. Both Malaysian and Thai military radars apparently picked up the plane, but no human noticed until the radar recordings were inspected in the aftermath, by which point the plane was long gone. At the end of the day, Pearson suspects that if the Indonesians say they have no radar data, it’s because they don’t. ‘Phone calls’: while there is an unconfirmed report of the FO’s cellphone registering on a terrestrial cell network that is a completely separate network & technology to the satphone call attempts to the the aircraft. Cell tower registrations can be readily tracked with the ID of the phone and the location of the tower. Truss & satphone calls: the Signalling Unit leg shows that 3 satphone calls were attempted: two, simultaneously, at 18:39 and one at 23:13. I can categorcially state that there is no location data contained in the signalling exchanges between Perth & the aircraft while attempting to setup the calls. The ground segment carrying the call to Perth will include the identity of the calling phone but that is not contained in any data exchanged with the aircraft. It’s also inaccurate that many reports describe them as “unanswered”: the channel setups never completed to a point where a call alert would have chimed on the flight deck (or a cabin handset). There is no BTO related to the satphone signalling, just the BFO & it should be understood by now that direction is derived by the BFO analysis. Truss’ comments, widely reported, likely were founded in the acceptance at that time, by ATSB, of the satphone channel setup BFO data in their analysis. He’s a politician, can one really expect an accurate statement? Engine data & 18:25 logon: there is nothing of any substance being transferred from the aircraft after 17:07: all the signalling is simply “hello/are you there/yes“ messages. Each one of these signalling units recorded in the log has the ability to carry only 8 characters of message data. Normal procedure is for the satcom datalink to be established throughout a flight for the avionics “communication management” function to relay messages, in and out, for any purpose (including the oft speculated ‘engine’ data). The reality is that engine health reports are a less frequent message type from aircraft. The theory, concerning 9M-MRO, is that the “communication management” function was disabled from relaying any messages off the aircraft & the satcom unit was powered off for a period, from a time unknown, until 18:25. That’s a summary of the Inmarsat data interpretation for now. On 20 Oct MoT/M committed to publish an unredacted signalling log, “in due course”. You can find a reminder for that press release at http:// i.imgur.com/6Wq8m5i.jpg & I encourage all this blog’s commenters to frequently send that reminder to Liow Tiong Lai and his ministerial colleagues using Facebook, Twitter, whatever. I believe the “research of detail” refers to the BTO/BFO analysis and their refined interpretation into ping ring radii and direction of movement. Tracing is an odd choice of words for Truss to use here and positioning only means the limiting of possible positions to “somewhere along the 7th arc” as given by the BTO. Could the satellite phone calls be from a different provider than one with a base station in Perth? The Aeronautical Mobile Satellite (Route) Service, which delivers data & voice ‘safety comms’ via satellites is operated by only two providers, each using technology incompatible with the other. No roaming. In this case, the particular provider has only 4 ‘towers’ and two ‘base’ stations for their third gen network. The ‘towers’ are 32,000km above the oceans (2x Atlantic, Indian & Pacific) with the ‘base stations’ located in Perth and the Netherlands. Google ‘inmarsat I3 classic aero’ and you’ll get the detail. 1. Re: “Definition of Underwater Search Areas” (June 26), Appendix A, “passed near a NW point”: precisely how (and why) did you alter the “highest probability” flight path accompanying the “Preliminary Repot” issued May 1, and precisely when (and why) did you later REVERSE this alteration? 2. Re: “Operational Update” (Oct. 22), “floating debris…is far more likely to have travelled west”: for the scenario supporting this conclusion, at what exact coordinate (and date) does AMSA assume MH370’s debris began drifting in the ocean? In my excitement at being able to agree with Brock’s suggestion that MH370’s route was correlated with flight paths (as opposed to FIR boundaries, for which there is, if anything, a negative correlation), I did not mean to suggest that I agree with either of his alternative explanations! To me, it means that if MH370 followed the alleged primary radar track, it most likely did so under the control of the FMS. And since we have no new information to chew on, I would just like to toss out one old reason for being suspicious of the alleged primary radar (besides the failure to publish the alleged recording thereof) that has never been explained to my complete satisfaction. “The following table is based on recorded communications on direct lines, summarising the events associated to MH370 after the radar blip disappeared until activation of the Rescue Coordination Centre. advised that the observed radar blip disappeared at waypoint BITOD. In the absence of any official explanation or retraction of these repeated, “confirmed” and “recorded” statements, in my opinion we should all be substituting “BITOD” or even, “after BITOD” for “IGARI” when discussing where the diversion took place. Assuming I am reading this correctly, we have a “crowd-source” site that wants to reap the benefit of the crowd’s eyes but does not want to be transparent about what all that free labor discovered. So, the PR value of being crowd-sourced, but without giving up control. I think in that case the site deserves every ounce of negative PR it ever receives. That is an absolutely obnoxious stance. Next, we hear the tired line that transparency would interfere with the search. Because, why? We might show up in rowboats with scuba gear? My guess us that the lack of transparency stems from the desire to keep the site running as long as possible, preventing users from accurately prioritizing searches and walking off after they’ve hit the highest priority areas and found nothing. Which, at the end of the day, is pretty much how I see the actual search effort behaving – search randomly to keep the search going as long as possible. Diversion not= actual turn around maneouvre? You nailed it. And if Tomnod/Digiglobe were just another start-up recently acquired with dodgy business practices, it wouldn’t be relevant. But given that we now KNOW Digiglobe’s images were/are a factor in the search in the SIO, more questions need to be asked. How is it that there are 57 minutes where MH370 either circled Sumatra (or landed), but the large number of tags in Digiglobe’s database identifying potential debris west of Sumatra were ignored? Thank you both for taking the time for the explanations. “How is it that there are 57 minutes where MH370 either circled Sumatra (or landed)”. There ARE? Or did you mean to say, there WERE? The “were” referring to the missing time as per IG response to the ATSB report some time ago. If there ARE, can you please point me to the new evidence, as I missed it. I’m aware that the ATSB did an update, the net effect of which was to whittle down (or attempt to) the loiter time around Sumatra. I’m not sure how many minutes of loiter we’re left with at this very moment (things just keep changing), but the simple point I was making is this: there appears to have been some time around Sumatra that has not been perfectly explained (yet). If the possibility of a loiter around (or a landing on) the island of Sumatra has been unequivocally ruled out (and I’ve missed that), please point me to that evidence. If (per the SMH article I cited previously) the search in the SIO was influenced in part based on images from Digiglobe (and by extension, a significant number of tags in the SIO), why weren’t the significant number of tags off the coast of Sumatra (also from Digiglobe) worthy of further exploration? All I can say, my current understanding of the latest IG, and Ulich models is, they do not include any loitering anymore, only a turn south. But I might have that wrong. According to the recordings you cite, HCM failed to make voice contact with MH370 while it was over and beyond BITOD, coming from IGARI. According to information available on the net, BITOD is located at 104.25E, which is half way into the next grid cell. I believe this is an important inconsistency/contradiction, or at best a sign of sloppiness, in the official reporting. @MuOne: The 52 minutes of missing time in the IG report was based on the ATSB’s priority search area centered around 29S-30S. The report also questioned why the phone call at 18:40, which suggests an earlier turn south, was ignored. Since that time, the ATSB has moved its search further south, and is focusing on areas that do not require loitering to match the path models (although I find that the northern end of that search area allows a loiter). The ATSB claims the change was made because of a more detailed analysis of the call at 18:40. I know this is very confusing. Thanks for the clarification. It’s hard to keep track of the ATSB’s ever-changing narrative. And just FYI re MJ’s Tomnod SAT image mentioned earlier: he’s talked to an imagery company that wants to help. The rub now: they require a non-manipulated copy of the image at the time taken. Awaiting a response from Tomnod. And if they are uncooperative, then there’s Plan B. How does the JIT for MH17 include Australia (not mention Ukraine), but EXCLUDE Malaysia, the country whose plane was hit? Remember my question about Angus Houston? Will, not baiting I promise. By “diversion” I mean, where it went off course. If the Malaysians lost secondary radar at IGARI, and the balance of the radar tracking is Thai, what basis would the Malaysians have to contradict HCM account of where (Vietnamese?) radar last saw MH370? The reorded comms between HCM and KL clearly indicate Thai radar detection beyond BITOD. Question is, were the Malaysians sloppy in drawing up the graphics, did it right and based it on unreleased additional evidence, or are they guilty of deliberate falsification? 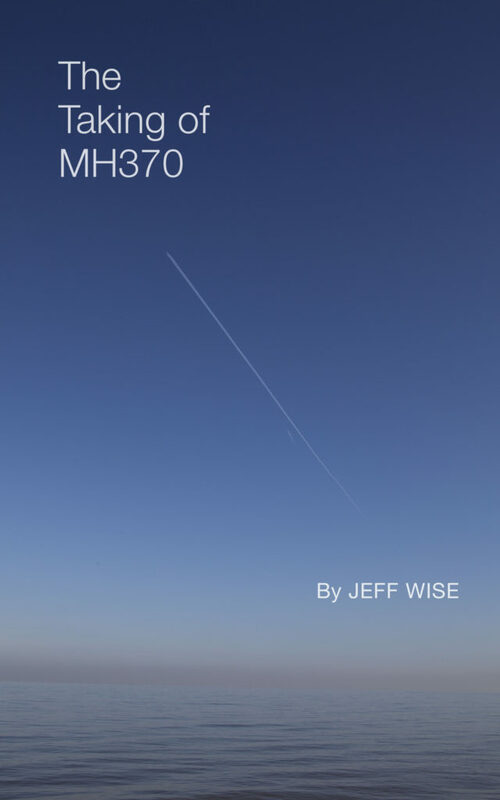 “A previously unpublished transcript of an interview with Clark by German aviation journalist Andreas Spaeth, reveals the depth of doubt the industry veteran holds about nearly all aspects of the investigation into the disappearance of MH370. Clark also cast doubt (a)bout the role of the Malaysian military, saying the claim that they identified MH370 as friendly when it suddenly reversed course and so took no further action was “bizarre” and needed to be ‘looked at very carefully’. Interesting scenario Clark used isn’t it? Nihonmama – On Clark’s latest bit, how does this line check out with some of our own experts? Clark said his electronic engineers believe that even though the plane’s Aircraft Communications Addressing and Reporting System, known as ACARS, was disabled it would still send out weak signals and remain traceable. I think personally that the silence with the investigation can be attributed to how ugly it’s looking. Big embarrassment/issues for Boeing, commercial aviation, Malaysia etc. Exactly what I was just thinking having just read the Sir Tim Clark interview that Nihonmama so efficiently provided for us. Mr. Clark, Jeff, and Mike’s simuator findings seem to be on the same page about someone taking control of this aircraft and disabling ACARS, etc. from the avionics bay. Ok, then even disabled it is supposedly sending out weak signals, the satellite communication and the ACARS, he said. But, how then after the reboot at 18:25 is the signal from the sdu weak? It’s a rebirth of sorts and shouldn’t that involve it’s normal power strength? Clark is not entirely sure on the “handshakes.” So is it in that what he is saying that the sdu was emitting weak signals from the time of it’s disabling, say circa 17:21 with the other comms, all the way up to the reboot of it at 18:25 and those weak signals were never detected? Then after it is rebooted is the signal still weak from the sdu or strong and renewed? Mr. Clark is spot on about every second of this flight needing to be gone over again and again and the final call for need of full disclosure and transparency from the official team. There may be a wealth of information in the files in that bunker in Malaysia. Interesting that Clark also used the word “traceable” and compared something similar to a mobile phone. Mr. Clark also seems to be ruling out pilot suicide and said that would probably have happened right away in the SCSea. I agree. If it was suicide and it went on for hours and hours the human mind could have vacillated back and forth hundreds of times and had plenty of opportunity to change the mindset. Very well stated your explanation of the diminishing of the loitering time. That is how I understood it, that the sat phone call research and now earlier turn south diminishes the loitering time considerably but maybe not entirely. @Matty: Here you have the CEO of Emirates making public statements that are technically inaccurate. The strength (i.e., the RF power) of the SATCOM signal has nothing to do with whether or not ACARS was disabled. I think by “weak” he means the signals were short bursts that carry little data with ACARS disabled. @Niels: The plane was not far from waypoint MEKAR at 18:22. That would put it at N6o27.67′, E96o39.99′ according to Skyvector, or N6.4612,E96.6665. At the G20 held here recently, Putin made a point of sending his warships to skirt Australian waters just to let PM Abbott know who he was messing with when he came out harder than most regarding MH17. It turns out that a Russian sub was very likely in the mix and that Australia could not send one of it’s own to gather data on the Russians for a number of embarrassing reasons. Submarine budgeting – we only have six, and the ongoing reliability issues involved withe Collins class means that although they are quiet and effective they are rarely all going at once. During the G20 they were off the SW of Australia, close to where they are based, pretty much adjacent to the search. Point being, there is a good likelihood at any one time that there will be sub assets in that neck of the woods. Last week they were trialing. 300 tonnes hitting the water at close to mach 1 will generate quite a whack, and the other marine acoustic sensing assets located off Fremantle and Cape Leeuwin did not register any local event, but the custodians of that equipment are quick to say that this does not exclude an event. But is this the only sensible thing to say under the circumstances? Location of subs is restricted info but it is known that they will be transiting in and out of the SW region, so revealing that acoustic data has been captured is not a huge deal, remembering that the US Navy was quick to go public with their detection of the Kursk blast. Something really should have turned up on the sensors, and that rebooted SDU as the mainstay of the search looks like an increasingly isolated element, and one with it’s own issues. Indon radar, debris, the silence, the oddness of the whole picture? …is utter nonsense. It shows that Clark, or his engineers, have no clue how the Inmarsat system and ACARS work together, or the statement is so scrambled that it must be ignored. ACARS does not send out any “signals”, weak or otherwise. And the AES, which does send out “signals”, does not send some weak and some strong as suggested. Per Victor’s response to you, Clark may be inaccurate on the tech details, in this case confusing the SATCOM signal and ACARS. (I hope that Victor or other will tweet a note to @emirates to correct). But I don’t think that the rest of the article fails because of that error, or that his comments should be taken lightly. Clark is spot on. And as CEO of Emirates, he’s not only putting his reputation on the line by speaking out, but as the largest buyer of 777s, it’s incumbent upon him to do so. Frankly, given all of the BS that’s going on, his comments are still quite restrained, despite his critique. I’ll also wager that there are other airline CEO’s with 777s in their fleets who are thrilled that Clark is speaking out (they may feel they can’t) and (indirectly) throwing a little shade at Boeing. Again, I feel like Clark knows more that he’s saying. Look at the timing of this latest article, which is based on an unpublished transcript of an interview with Clark. Andreas Spaeth, who’s mentioned, is the same journo who did the big Clark interview that appeared in Spiegel (Oct 9). So why did they wait to publish THIS part of Clark’s interview? Also notice that Clark’s interviews to date re MH370 have been with a highly respected German media outlet or in this instance, the same German aviation journo who did Spiegel — and NOT with a US or UK outlet. Do you think that’s an accident? Clark’s repeating what the Malaysians say happened. “What would have been done” or “What would have happened” would have been a hypothetical question. But asking “What was done?” sounds like the scenario Clark described HAPPENED — so he asked WHAT WAS DONE? in response to it. OK — maybe Clark just got his grammar twisted up (or Spaeth did). But that caught my attention. Either he’s just throwing out stuff or he has more info in his quiver than he’s letting on. And if so, he’s communicating that to all involved in a very subtle way — which BTW, also puts those mentioned under pressure. Could someone be leaking to Clark? If so, things going forward could get very, very interesting. Finally Matty, your comment — “but the custodians of that equipment are quick to say that this does not exclude an event. But is this the only sensible thing to say under the circumstances?” — is important. Thank you for bringing it up. In this Sept 5 article http://t.co/TqHqQY1rxv, it says the Curtin researchers recovered additional data that suggested — based on the location (midway between the Horn of Africa and India) — and “low amplitude tail”, that the event was geological, not from the crash of MH370. But in re-reading that piece, it appears that their finding (at least as reported) is not unequivocal. In addition, please note the location of their ‘new estimate’ on that map – it’s in a strait line, directly west of Sumatra, Indonesia. Nihonmama – Clark has some minced interpretations from his engineers I reckon but kudos to him for speaking out – entirely. He takes the view that the plane isn’t going to show up apparently, and I guess I’m with him on that, and that we will be left with this big unacceptable blank regarding MH370. Murky? Thanks for setting us straight about the “constant” signal strength after Mr. Clark sent us in a tailspin about weak signals. Just as horses need to go to “school in the gate,” airline CEO’s and their associated engineers better go to “Inmarsat satellite school training.” Either that or make sure your statements aren’t so scrambled by the media. If he meant the signals were short bursts not carrying much data with ACARS disabled, it sure doesn’t imply that in the article. Just read an article where the head of the search has Moet on ice ready to celebrate a find, Indonesia is on alert for debris, and Mr. Soucie has a book coming out on MH370 in February 2015………..talk about being in a tailspin! Can’t wait to read Mr. Soucie’s book. A book from our host Jeff next????? Posted it here one or two threads ago. Per @runwaygirl, apparently people at Emirates were suspicious of the MH370-ended-in-the-SIO narrative from the time it was first put forward. I’m very curious as to why. Nihonmama – the public, who may not be too well informed about MH370 seem to be totally open minded about what happened to it, with all kind of scenarios on the table. Then there are the Des Ross/Sir Tim Clark figures who are openly sceptical, and I’d say there will be a lot more who haven’t stepped out. Emirate doubts – it may not have been just them? If it’s a sophisticated plot as many believe then a simple SIO ditch is very hard to reconcile. Unless it landed – re Victor’s alternate scenario. If one accepts the ‘Beijing Lido’ image RADAR track then 9M-MRO is on airway N571, just beyond waypoint MEKAR, at 18:22. Do you need more accurate than that? i would like to ask You or collegues to check the Donald W. Elliott `s founding´s – You will find him easy per google. The disappearance or non showing up on Indonesian radar corroberates with his findings – for my point of view. The TOMNOD-images he found, and he is a long-experiance air fotograph, are showing passengers alive on water days after the missing , and also a signal fire and the sinking plane. Disturbing. I have read there would be inconsistencies with the BFO/BTO due to floating plane, but if he is right, and I think so and believe him, then the calculations are wrong. With your post here and the indonesian radar not aware of mh370 it is quite plausible, because the plane must have got (more) problems after 18.22 UTC, but managed to land on the water. So – every single image, Elliott found, should have been enough to send a rescue team – but he was ignored. Back in June Aviation Week posted this article with the Sir Tim Clark audio interview. A significant element in his comments related to the picture Emirates’ Network Control has of its entire route network, where the aircraft are on the network, the state of the aircraft at any time and enabling drill down to the frequent flier history of a passenger on a flight at any instant. There is no commentary, whatsoever, from Malaysia Airlines on what its Operational Control Centre did on the morning of 8th of March. Did they make the satphone calls at 18:39 & 23:13? Did they send an ACARS message at 18:03? What did they do when it became apparent that flight progress reporting had ceased (it is on record, at a MH370 PC, MAS stated they expected a progress update message at 17:37). Sir Tim Clark’s points concerning the technical details of the airliner communcications should not be taken as fact. He’s a CEO with a background in airline operations management: his knowledge is of airline efficiency and how the information conveyed as ACARS messages contribute to that efficiency but I doubt he knows how the aircraft systems interact to the level of detail required to explain ACARS messaging and how those messages are communicated from the aircraft to the ground. His comments are, nonetheless, extremely valuable and similar commentary would be welcome from other leaders in the industry. @Bruce – to add to what MuOne wrote, Dr. Ulich’s interpretation of the ATSB map puts MH370 over IGARI at 17:20:39 and turning right towards BITOD. The left turnaround back over Malaysia began at 17:22:20. At 500 knots, the plane would have traveled about 14 miles during that time period. According to SkyVector, IGARI to BITOD is 37nm so the plane had not arrived at BITOD when the diversion began. However, early reports did put the plane over or past BITOD based on a 6-minute period from IGARI to the diversion. This might have been modified after review of Malaysian military radar data that was not released publicly. @Niels – The “last radar” appears to be about 8-11nm WNW of MEKAR. @KenS – I’m not sure if this has been brought up here before but the location of the final radar is closer to 250nm from the Butterworth AB than the 200nm on the “Lido Hotel” radar photo. Also, the actual bearing is less than the stated 295deg. The 89nm reference between Butterworth and Pulau Perak is reasonably accurate depending if the “Butterworth” location is at the AB or the radar installation at Western Hill. Other blogs suggest that these traces were fabricated for the Lido Hotel presentation as they do not show other flights in the area and might even be traces of flights taken days after March 7. 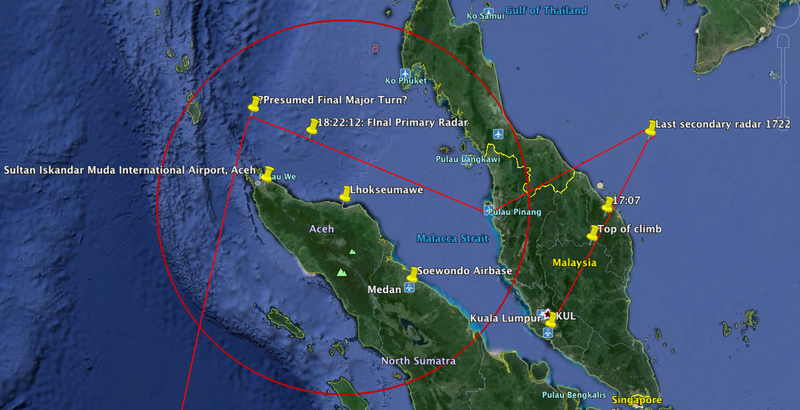 GuardedDon believes these radar plots are not from Malaysian radar but rather from two different Thai radar sites. That would explain the empty white circle on the photo. In previous posts (located here: http://jeffwise.net/2014/10/29/mh370-where-is-the-debris/comment-page-2/#comments) he gave links to kml files that can be imported into google maps or google earth to show the location of the Thai sites and their coverage areas. When Clark says “weak signal,” could he have been referring to VHF, rather than satellite? In other words, if the ACARS was disconnected from the SDU, is he referring to “weaker” signals being sent across VHF instead? 4. Weak could refer to unrelated signals altogether – cell phones, for example. The Malaysian Air Defence Surveillance (ADS) RADAR site capable of detecting targets out to ~200nm over the Str of Malacca is Western Hill, Butterworth AB has only approach RADAR. The information depicted in the ‘Beijing Lido’ image was created simply using the range-azimuth-time data from the targets detected by the RADAR system. This is the fundamental data that a system detects & it can be ‘dumped’ in that simple form. To sort what was believed to be 9M-MRO from other aircraft would have been a trivial operation, just ‘dump’ targets with no Mode-S returns associated. The RADAR system involved would be readily identified from a ‘scope’ display on a RADAR ops room console – depicting the information in this way enables obfuscation of the source (until the ADS sites looking out over the Str of Malacca are considered, facts that someone possibly considered to be ‘secret’). Bruce, harking back to a comment from you that I have overlooked. You asked “why the Malaysians, who (as you showed in your June paper) installed new primary radar in 2010 with a nominal range of 220 nm at three separate installations“: I believe it was another source who erroneously asserted that three new systems had been deployed in 2010. I described that it was possible that three of the Malaysian RADAR sites may have detected 9M-MRO, two of those certainly should have: Bukit Puteri, Terengannu, & Western Hill, Penang Island. I have no insight as to why, but the Malaysian authorities have demonstrated everything but a capacity for clear and transparent communication since 16:41UTC on 7th March. “Malaysia’s Berita Harian newspaper quoted Air Force chief Rodzali Daud as saying the plane was last detected at 2:40 a.m. by military radar near the island of Pulau Perak at the northern end of the Strait of Malacca. It was flying about 1,000 meters (3,280 feet) lower than its previous altitude, he was quoted as saying. Thus there would not be any FIR between them. an official range of at least 270 nm. The Indonesians can’t have missed it. If you assume the Captain, and that Diego Garcia in the simulator is a clue. Then charting a course to Diego from IGKAR. At the half way point changing course to Perth. You end up with between 4700-5000 flight km which bring you to the 7th Arc, exactly where they detected the 37.5kHz beacons 2km apart. It is also the same flight km distance from IGKAR to the current search area, assuming a straight line. Considering the elaborate planning and evasion, it is inconceivable that he would just let the plane run out of fuel and crash. One has to assume a controlled landing on water. there for it is probably slightly before its fuel limit. I guess, the Chinese simply missed it when they were searching, but it is where it was originally thought to have been. @Stevo, Just about everything you have written here is inaccurate. Few comments I’d like to make. The F16 Jet has been all weather capable from the beginning. Wether the crews are capable I do not know, but intercepting an non maneuvering airliner and joining up on such a big aircraft is beginners training. The most obvious reason why MH370 was lost on primary radar on its way to MEKAR and was not observed by the radars of other countries like Indonesia or Thailand could be a descent below the radar horizon. Using the TLAR (that looks about right) method I would say, anything below 15.000′ would be a good start. As we have progressed from the ghost flight scenario to a possible forceful intervention by somebody with the intention to avoid being tracked and intercepted it is beyond my imagination, that such a flight would be performed at high altitude. Could anybody explain, why we still discuss such high level autopilot fligh as a given and only option to fly such an aircraft during this phase of the flight? Such a profile would not fit the intention to stay undetected for some perp. There is also the possibility that the radar was not manned, the operator failed, or the radar being of for maintenance, which has to be done sometime. Forcefull intervention flight with successfull avoidance of being painted by primary radar along the routing by routing and altitude profile. In that case the initial part from IGARI to Penang was a clever deception by flying routing and profile an airliner would fly upon returning to Kuala Lumpur for landing. No need to send fighters after such a plane. And when it did not turn south after Penang but to the north west and disappeared from radar, it was too late to react. I only have one comment to make pertinent to this thread, which is that I have a deep, deep, visceral distrust of Tomnod regarding every aspect of their behaviour. The posts on here just confirm it even further. Using (and having contact with) Tomnod to try to ‘help’ with the search has to be one of the most disturbing, frustrating and counterintuitive experiences of my life. I wouldn’t trust them as far as I could throw them. Anyway…I just had to say that. As you were.